Everland is the largest theme park in Korea and has a wide range of attractions and suitable for all ages. Get ready for your Excitement to be awesome! Everland Resort entertains visitors all year long with various rides, festivals, theme areas, and Zootopia, perfect for a great amusement park. It houses diverse attractions which are available to enjoy with no age limits, different themed festivals including Tulip Festival, Rose Festival, Summer Splash, Halloween Festival, Romantic Illumination, and other festivals all year long. 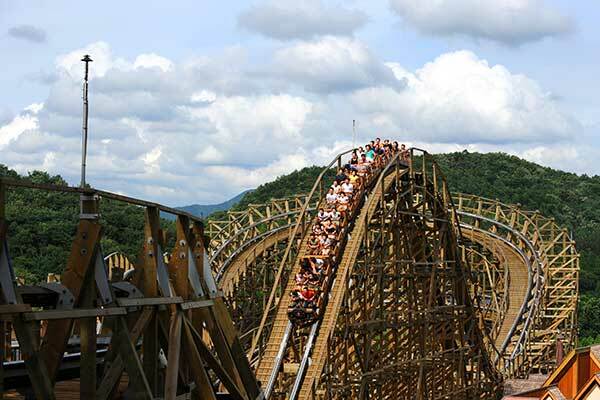 One of the park’s most famous rides is T-Express, Korea’s first wooden roller coaster, popular among young visitors. Zootopia is a must-see as it spans over an area of 15,000㎡ and exhibits 2,000 animals of 201 species. Lost Valley opened in 2013 and features the largest ecological safari world and offers a tour by amphibious car to see 150 animals of 20 species. A pair of giant pandas given from Chinese president Xi Jinping as a symbol of friendship between Korea and China can also be seen at Panda World. Here are our recommended attractions! At Panda World, children not only can view pandas but also can have a vivid experience of a panda’s everyday life through advanced IT devices. It is a great chance to let your children learn more about pandas! The exhibition of animals may be limited in cold weather for the protection of animals. Lost Valley is currently closed due to maintenance and expected to reopen in April, 2019. Lost Valley Safari offers an up close and in person opportunity to learn and experience how to coexist with animals. You will ride Everland’s special convertible amphibian vehicle and move from water to land where approximately 150 unique animal species roam freely. It can be an once-in-a-lifetime experience to your children. Safari World features the kings of grasslands and jungle, including lions, tigers, and bears. It is a rare chance for your children to see these animals at a close distance inside the safari vehicle. T Express is the world’s steepest wooden roller coaster with a top speed of 104 km per hour at a 77 degree angle. It is also one of the must-try rides at Everland. If you are a thrill maniac, you should definitely challenge taking T Express! 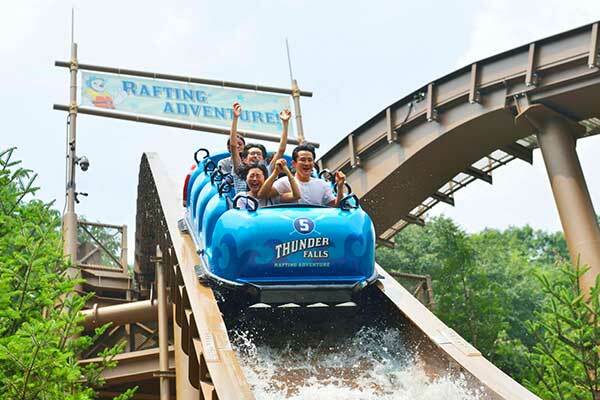 Thunder Falls is the ride with the longest waterway and the largest falling angle. It is so fast that you might get all wet if you sit in the front, but the thrill will meet your expectation for sure. It is highly recommended to thrill maniacs! At Four Seasons Garden, you can appreciate various flowers and take instagrammable pictures with your lover. Everland Tulip Festival is especially recommended, which is held every Spring. This year, it is held from March 16th to April 28th, 2019. Roses are known as the most romantic flowers and Rose Garden is the perfect place for lovers to have a romantic moment. Everland Rose Festival is usually held from May to June so keep and eye on the festival schedule! Everland Tour Packages by LEx. Prev PostFear of Dengue by Mosquitos bites? Mt Everest Trekking is becoming too Popular?